The worst part of my day is, easily, catching the train. Day after day I shuffle on to the dedicated quiet carriage on the train and instantly my ears are assaulted by snoring and a cacophony of coughing that makes me think that half the population must have the plague. And of course because this is Australia people don’t think twice about coughing right behind you so you can feel the breeze through your hair. Then the fellow next to you naturally sees no point in covering his mouth and he tries to push his lung through his throat. In Asian countries sick people wear face masks when they’re sick so that those around them aren’t infected, but because this is Australia and basic public decency doesn’t actually exist, people would rather get everyone sick then do something to cover their mouths. So, while I probably can’t do anything about getting whatever disease it is that ends up incubating all over me every day, having a good headset that helps me at least zone out of listening to sick people is something I am always going to appreciate. At the same time, I don’t want to disturb other people myself. So I also need headphones that aren’t going to leak noise like crazy. In-ear buds fail to drown out the noise without turning the sound up too far. On he other end of the spectrum, too many headsets are too big and clunky to really be practical for use on the run. So thank goodness for Kingston’s HyperX Cloud Revolver, which allows me to kick back, throw on the Hatsune Miku, close my eyes, and pretend these irritating… people… around me simply don’t exist. I was already a fan of Kingston’s efforts with headsets from the previous model that I was able to test, which remains my most-used headset for gaming at home, though I do generally leave that one at home for that purpose. The Cloud Revolver, meanwhile, is a step up from that in every way, and because of that it’s effortlessly my favourite headset to date. Aesthetically, it’s nicely understated, which I value in anything that I take out and about. Some splashes of red on the sides distinguish it as a Kingston headset for the initiated, but this isn’t a product that feels the need to broadcast to the entire world that you’re using it when you put it on. A sturdy – but light - metal frame holds it all together, and while the echo that creates when you actually bump into something (like for instance when I’m too busy rocking out to Miku’s Tell Your World while walking to notice a tree branch coming up… not that I did that, I swear) is unpleasant, the headsets offer a snug, comfortable fit, even over long durations of use. Another nice touch which helps to extend the value of the headset is the microphone, which does a good job of recording clear voice while playing games to make this a good choice for team-based games. Of course, that same microphone would make the headset look silly for outside use, so credit to Kingston for making that one detachable. Of course it’s the sound quality that’s really going to be the deal maker or breaker with any headset. The reason that I like the previous Kingston headset so much is because it was not developed with a singular focus on gaming. I find too many gaming-focused headsets ramp up the bass to add visceral meat to the explosions and ratatat of gunfire, but the minute you put on lighter music to try and watch a movie on your iPad that isn’t from Hollywood, you’re left with something that sounds tinny and cheap. 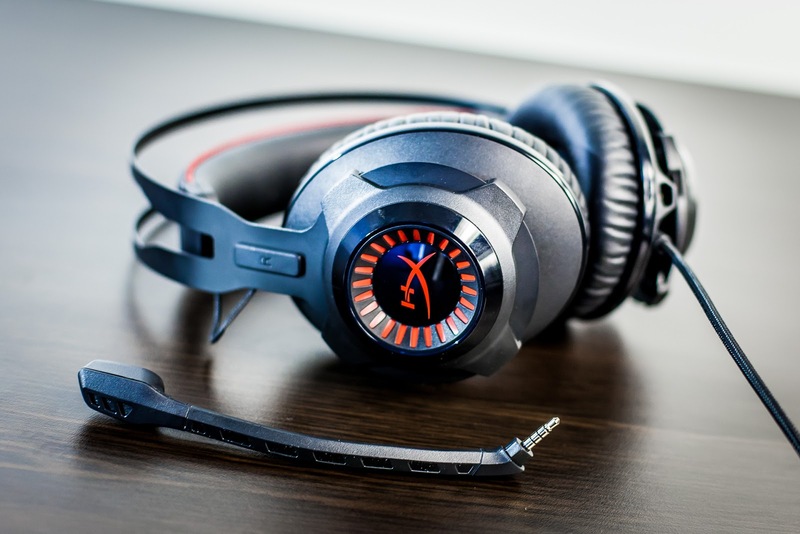 Kingston produced a more general use headset with the last model, and it’s kept that design philosophy going with this one. Miku’s high pitched electronic voice is clear and sharp when played through the Cloud Revolver, and most impressively of all stays that way with the volume turned all the way up. Conversely I also got the earthy impact of the base when I tested it with combat heavy games – I almost felt like a pro playing SMITE until I saw my kill/death ratio at the end of the game. The 50mm driver that powers the sound also helps to deliver surround-like effects right into the ears. Playing a sound-atmospheric game like Heavy Rain, for example, all but mandates a headset like this because the sound of that rain wrapping around you is really core to the emotional impact that the game looks to make. Related reading: All of DDNet's reviews of Kingston products. The headset isn’t truly a noise cancelling one, but with the sound up high enough I completely lost the sound of traffic on a busy road, which is surely enough noise-cancelling to say the headset might as well be classified as one. At that volume some sound does leak out, so to go back to the train trip I had to resist the temptation to turn it that high, but on lower volumes and paired with the right game or music playlist I was still able to block out all the disease going on around me without irritating anyone myself. Kingston pitches its headsets as gaming devices, I know, but I don’t see them that way at all. 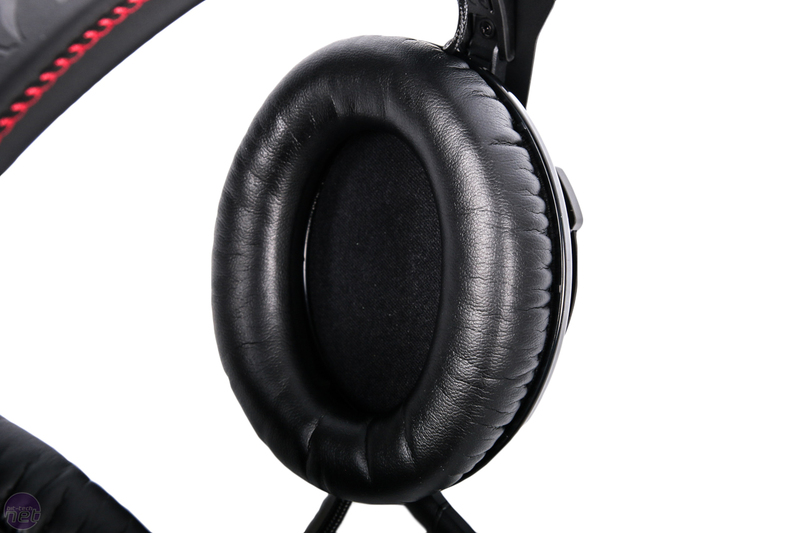 The Cloud Revolver is a general purpose headset that punches so far above its weight for its price point ($Aus150 or thereabouts) that it’s not funny. 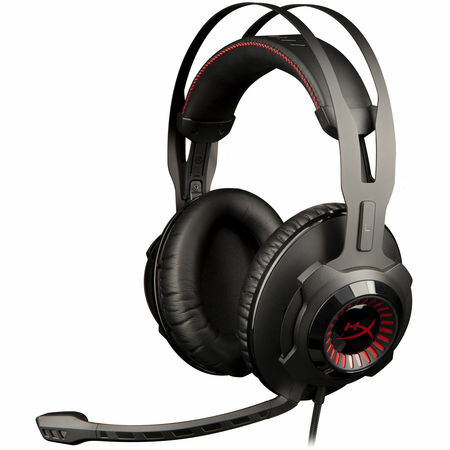 Again, this is the best headset I’ve ever used.